There are still spots left for our studies at 5pm on Sunday nights! We begin January 20! 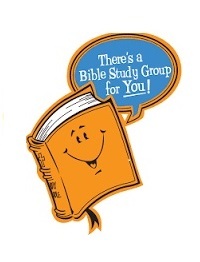 We are planning exciting bible study opportunities for members and guests! January 20 – April 7, on Sunday nights, 5pm-6:30, we will offer two different classes in Disciple Bible Study. This 12 week study in the Old Testament then breaks for the summer and resumes for 12 weeks in late August for the New Testament study. Various facilitators will lead, including Carol Capers, Nesbit Dasher, Rev. Chuck Moon, Sandy Hobbs, Alison Wright, Nichole Kuehl, and Dr. Jody Alderman. For those who have not taken a Disciple Bible Study, choose Disciple 1: Becoming Disciples Through Bible Study, an overview of the entire Bible, 12 weeks through the Old Testament, followed by 12 weeks through the New Testament. choose Disciple 2: Into the Word, Into the World, a 12 week study of Genesis – Exodus, followed by a 12 week study of Luke – Acts.